This small 5.5 inch diameter hamster wheel is the baby of the Superpet Comfort range. 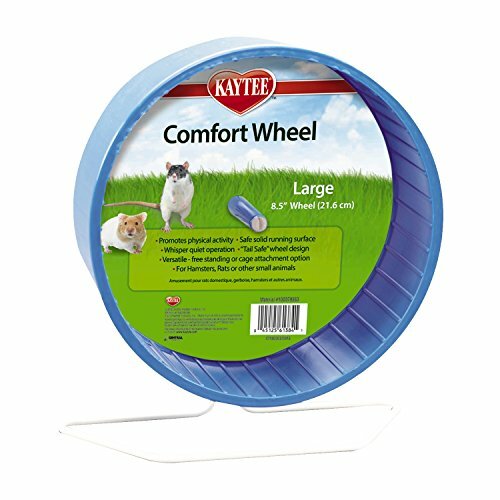 Featuring the same design and features as it's larger 8.5 and 12 inch versions, this small hamster wheel is perfect for young hamsters or dwarf hamsters. The colourful design features a safe and solid plastic running surface which is wide enough to accommodate any wonky-running hamsters! 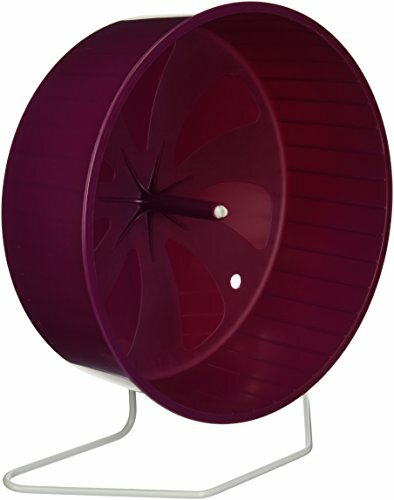 As far as position goes, this sturdy hamster wheel can be left standing on it's thick wire base or easily attached to the side wall of your hamster's wire cage. Either way, it's a doddle to dismantle for cleaning. 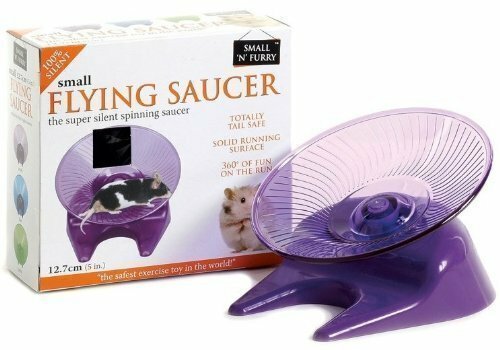 When rotating, this hamster wheel is one of the quietest available, which helps reduce squeaky and noisy disturbances whilst your hamster eats up those miles! 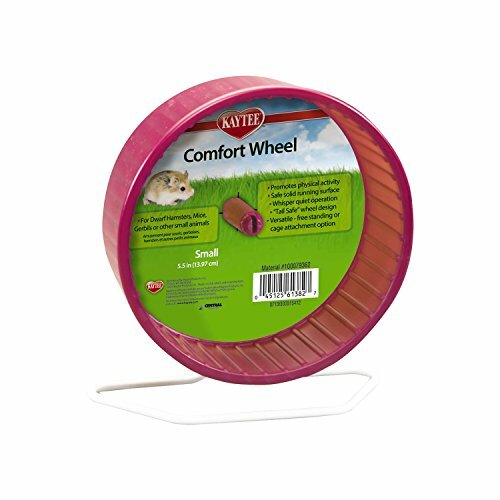 This small Superpet Comfort hamster wheel offers great value for money and exercise for smaller hamsters.